We enable you to lead your virtual teams effectively so that performance as well as relationships can be significantly improved. We help leaders to fully exploit the potential of the virtual space and to become independent of face-to-face working when it comes to managing and leading virtually. We offer a series of training options including workshops, systematic follow-up sessions, coaching (individual and team coaching). Becoming independent of face-to-face working does not mean that you should not meet face-to-face any longer. It means that you have a real choice and the confidence that you can achieve high performance in the virtual space. Have a look at our participants' feedback from Telekom regarding one of our recent global projects. ZF is a global leader in driveline and chassis technology with 121 production companies in 26 countries, in four continents. ZF is one of the ten largest automotive suppliers worldwide. Over the last 10 years, ZF has grown from a predominantly German company, through being European, to the present day when it is truly Global. This change led to the recognition that new skills were needed to lead remote and global teams without the necessity to spend time traveling across the globe. Represented in almost 50 countries worldwide with nearly 143 million mobile customers and over half of its 60.1 billion Euro revenue generated outside of its home country, Deutsche Telekom is a global telecommunications powerhouse that is paving the way towards the future of Virtual Leadership.Together with Virtual Leadership Expert Ghislaine Caulat and her vanguard team at Black Gazelle Consulting, Deutsche Telekom invited an exclusive brain trust of Vice Presidents, Department Heads, and Division Managers to participate in a three-day intensive Virtual Leadership Program conducted remotely across the European continent. The objective was to help these already established leaders to become more focused, effective and impactful influencers when working virtually amongst their teams and throughout their industry. T-Systems, a subsidiary of Deutsche Telekom, ‘shapes the networked future of business and society and creates value for customers, employees and investors thanks to innovative ICT solutions’. 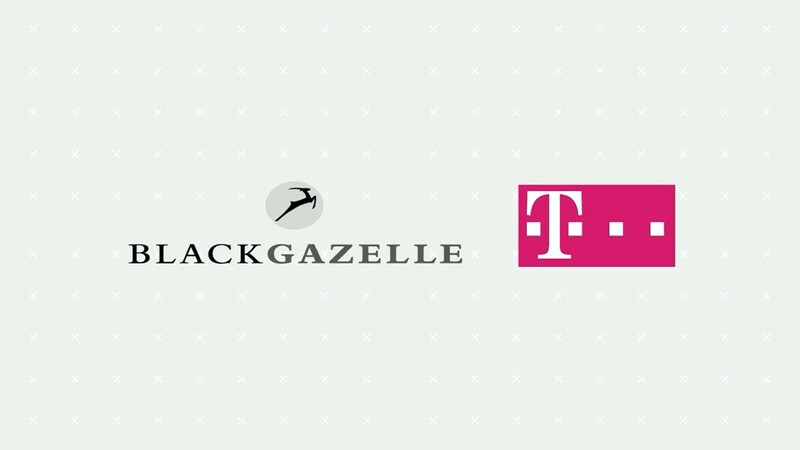 In 2012 and 2013 T-Systems commissioned Black Gazelle Consulting to design and run several Virtual Leadership Programs as one stand-alone module and as a modular part of a broader Leadership Program. Participants described a culture, prior to the Virtual Leadership Program, where there was the clear need to demonstrate a strong task focus, where time spent on reflecting was difficult to find and where relationship building was incidental rather than intentional. Umicore is a global materials technology group offering materials and solutions that are at the cutting edge of new technological developments essential to everyday life. One senior international team approached Black Gazelle Consulting with the aim of improving the effectiveness of their virtual team meetings. While the team concerned were somewhat unhappy with their current meetings, they were not convinced that training in working virtually was a good use of their valuable time. The senior level of the sponsorship and the very time efficient offering from Black Gazelle Consulting, convinced the client that it made sense to go ahead.